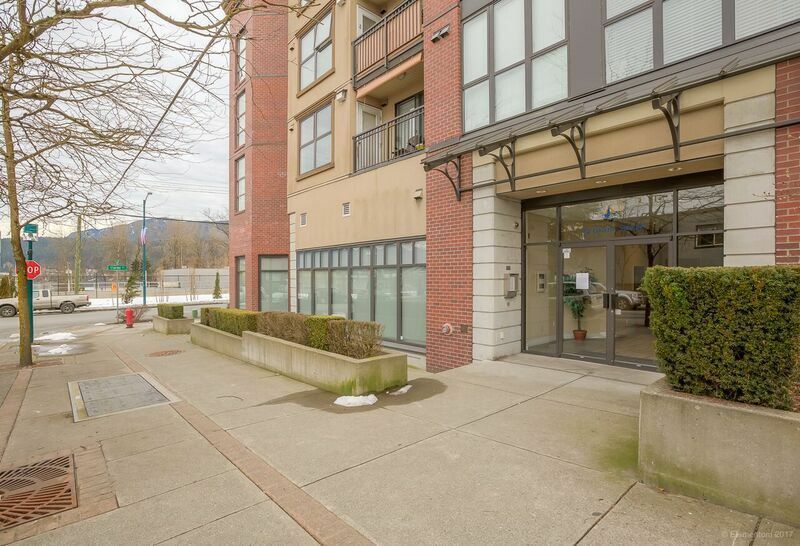 Sought after, 1 bed, 1 bath, top floor, corner unit in Port Moody's "Lighthouse" building. Open plan showcases an expanse of windows allowing for lots of natural light. Living room features gas fireplace & access to large southeast facing deck with lovely mountain view. The kitchen features stainless appliances, pendant lighting & granite counter tops. Nice size master has sliding door access to deck. Four piece bath with granite counter top & soaker tub. Other features; in-suite laundry, 1 car underground parking, locker & exercise room. Walk to Rocky Point & boat launch, Brewery Row along Murray Street, West Coast Express, Evergreen Line and all the shops & dining your heart desires. This location is premium. Act now.